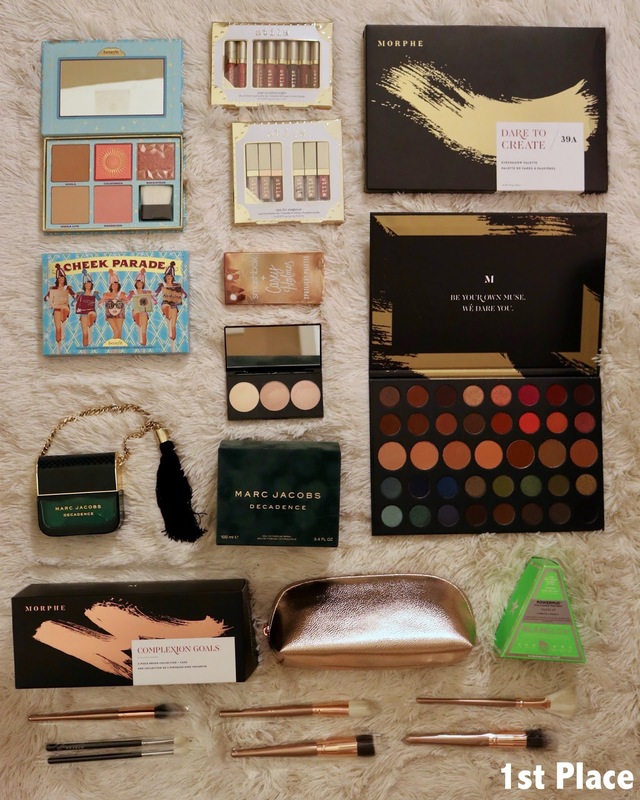 Sarah Something...: $1,000 Makeup Giveaway! I can't thank you all enough for making my blog so successful! 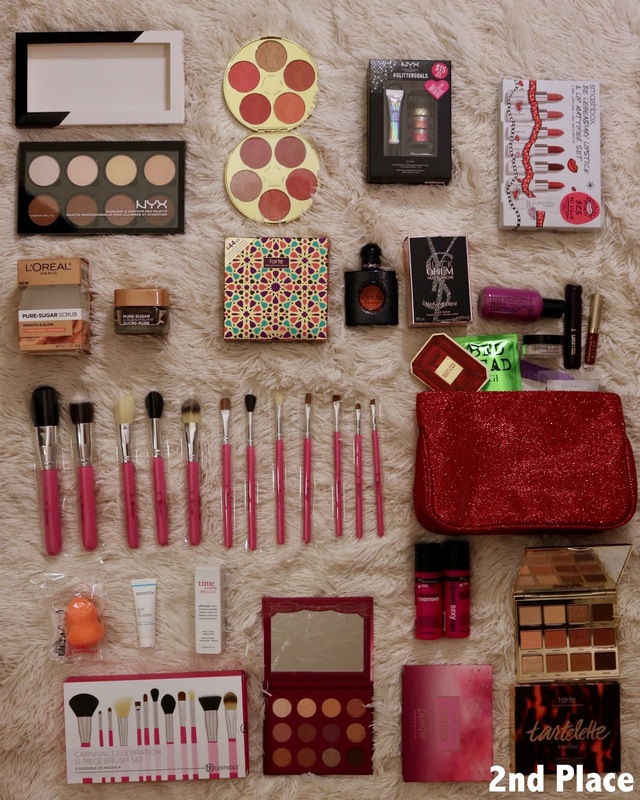 To show you how much it means to me, I am giving away $1,000 worth of makeup to 3 lucky winners! Everything you need to know is below! - Tag 3 friends in your comment on my giveaway photo! Yes; it's that easy! The winners will be chosen by a random generator on Friday, 5/25/18 and they will receive an Instagram DM from me. You can enter up to once a day for each of the 5 days. 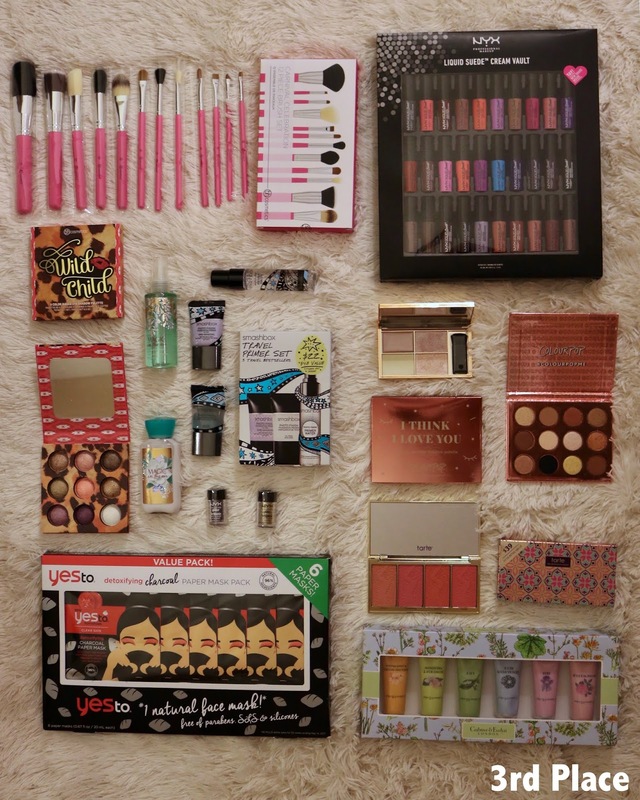 Must be following my Instagram, like my giveaway photo, and comment on the giveaway photo to be entered. Additional bonus entries will be submitted for people who tag 3 friends in the photo’s comments. All rules must be followed in order to be entered into the giveaway. One entry per person per day, with the exception of the 1 bonus entry. Commenting multiple times in one day does not increase your chances of winning. The maximum times you can enter the giveaway is 6 times: one entry per day for the 5 days, plus 1 bonus entry. There will be one winner for each of the three prizes. Winners will be chosen by a random generator which will determine who comes in first, second, or third place. Winners will be contacted via Instagram direct messages on 5/25/2018 and will be prompted to send back their shipping address. Instagram accounts that are set to private or don’t accept the follow and/or direct message request from @sarahashleym will have 24 hours to respond with their shipping address. After 24 hours, another name will be generated in your place, and you will no longer be eligible to win a prize. United States addresses only, excluded internationally. Winners are not required to pay for shipping. I am not responsible for any lost or broken packages. This giveaway was not affiliated with Instagram in any way. Must be 18 years or older to enter. By entering this giveaway you are agreeing to these terms and conditions. This is so amazzinnggg! Love these blogs! I dont comment very often but this is exciting. Wow! 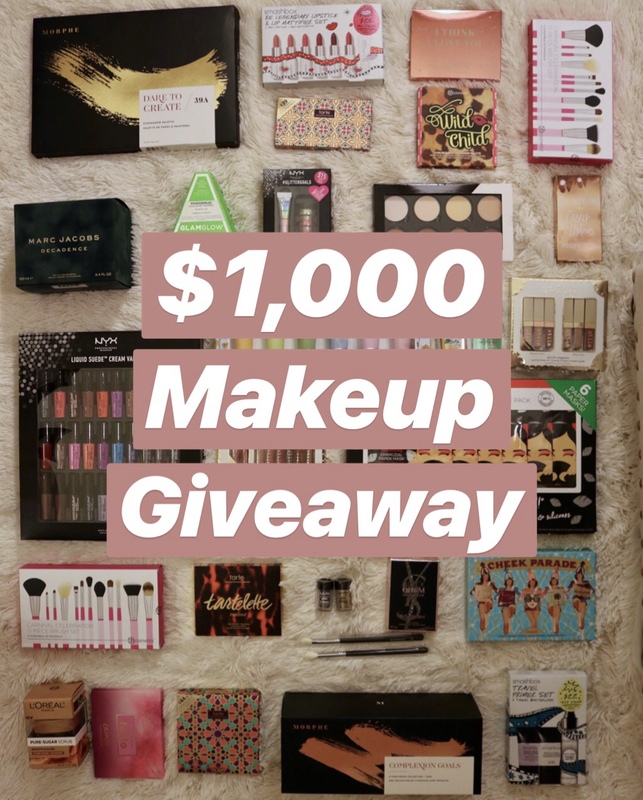 I’m one of the winners of the $1,000 Makeup Giveaway!! I have been following along with Sarah Something for awhile now & I love seeing all of her beauty products she prefers! She really knows what she is talking about. Her blog is always so much fun to read and her Instagram is way cute too. He he. 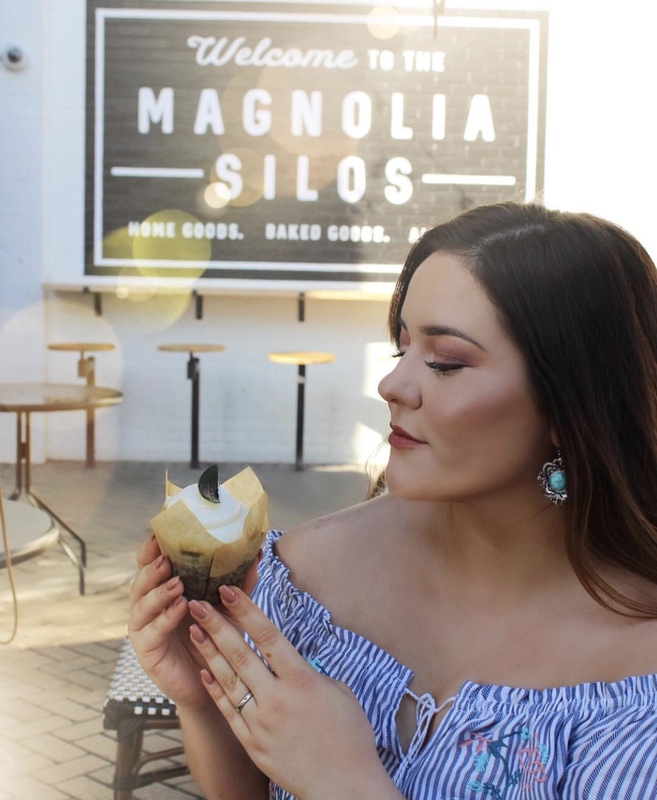 Thanks Sarah for an awesome blog! !